Looking to add some unique touches to your special day? Dry ice can used to create a variety of wedding special FX. 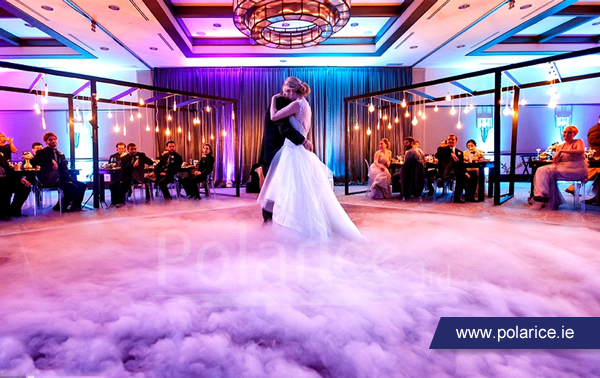 Dry ice fog machines produce a magnificent ‘dancing on clouds’ effect, perfect for the first dance. Dry ice creates an ideal low-lying fog which will flow out across the dance floor and remain below knee level. You can also light the dry ice fog with coloured filters to produce a truly magical atmosphere. Champagne glass towers are made all the more spectacular with dry ice. 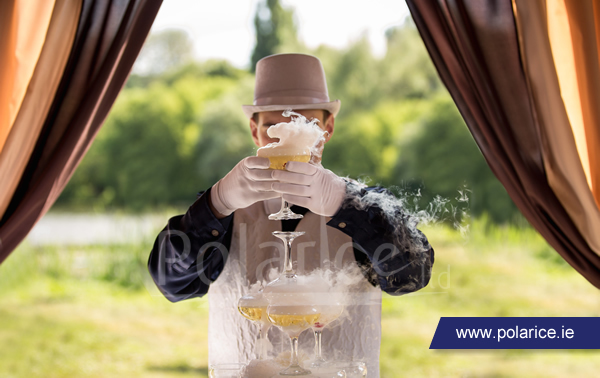 Create a cascading dry ice fog that will wow your guests. If you wish to serve out the fog effect champagne directly to guests you can use ChilliSticks to hold the dry ice pellets safely.